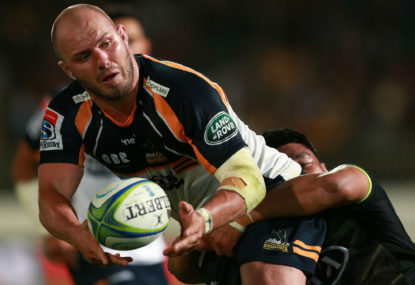 One of Australian rugby’s greatest servants quietly hung up the boots this week. 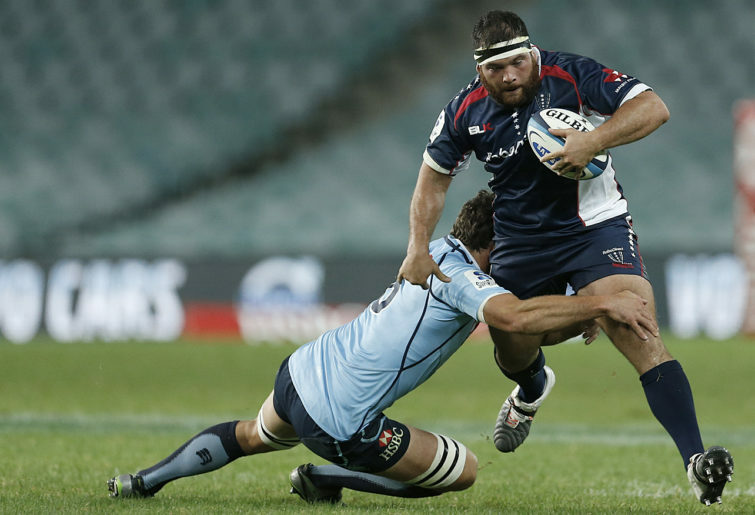 Foundation Melbourne Rebels player Laurie Weeks made the announcement on Wednesday that he was retiring after playing 107 Super Rugby matches for the Rebels and Reds, and earning two Test caps for the Wallabies. 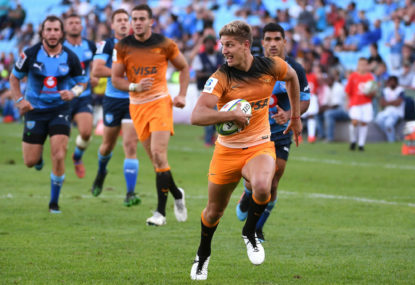 With Super Rugby stuck behind a paywall, you’d be forgiven if you hadn’t seen many of Laurie’s games – truth be told, I missed more than a few. But I followed his career closely. To understand why, indulge me a brief trip down memory lane – and perhaps the leniency of a touch of poetic license, because stories about Laurie have had a funny way of getting bigger and better over the years. It was a stinking hot night in February 1998 and a bunch of boys were sat in Dorm 8 at St Joseph’s College, introducing ourselves one by one. Most of us were aged 12 and looked like, well, 12-year-olds. But one kid was decidedly less pre-teen in appearance. “I’m Laurie,” he said. It made sense – dude was the size of an 18 wheeler, of course his name was Laurie. As such, I can’t claim to have grown up with Laurie Weeks, as I suspect he had his growth spurt at around the age of eight. He has obviously packed on some serious muscle in the last two decades, but there was no missing him on our first night of year seven at Joeys. But what stood out more than his sheer enormity was the size of his smile. He made friends with everyone and was, from the very outset, just a fun, funny, goofy guy. Which I – and I reckon more than a few others – mistook for meaning he was maybe a bit soft. Those thoughts were swiftly put to bed with our first game of tackle footy that Saturday at the park. Laurie trampled anyone who made the mistake of standing in front of him, and absolutely axed those who came within a cooee of him as he defended. It was a tiny bit terrifying – Laurie was not just the biggest kid in the year, he was also the strongest and far and away the best at rugby. As if that wasn’t enough, he was also one of the fastest (deadset, he was first in a canter for the second division 100 metre sprint at the athletics carnival) and his place in the A class after first-term exams proved he was also one of the smartest. Not for nothing from a bloke in his 30s who still can’t grow sideburns, Laurie was also the hairiest. The kicker? Having been born in April 1986, he was also the youngest – he was, on that first night, only 11! It didn’t stop him from playing 13As when winter rolled around, although it did mean that he played 13s again the following year, when he actually turned 13. And though he was the same age, there were times when it was very much man against boys. 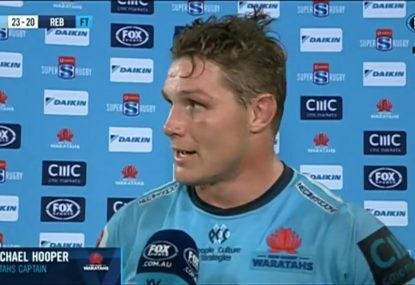 In one match, Laurie made a driving tackle on a halfback that saw the kid cough up the ball and burst into tears. It was a textbook hit, absolutely nothing wrong with it. But the ref blew a penalty. That’s not to suggest Laurie was a flat-track bully – on the occasions he played kids who were bigger, he cut them down too. But while there was zero jock attitude to him, by year eight, Laurie was being singled out on a daily basis by some of the year nine and ten boys. It was a situation I, as a teenager, couldn’t wrap my head around – why would they pick on this guy, who was an amazing athlete yet often knocked around with the dorks and geeks? Fearsome on the field, friendly off it – sorry, why are you having a go at Laurie? In hindsight, it was basic, dumb attempts to assert masculinity – prove yourself as the dominant male by singling out someone who could threaten your title. Laurie had no interest in whatever ‘title’ these boofheads were trying to claim. He mostly tried to avoid them. But at our recent reunion, we fondly reminisced about the time one of the bullies – who was three years older than Laurie, and played first XV rugby the next year – picked up the ball we were playing touch footy with and started tearing through us, palming blokes off left and right. Out of nowhere, Laurie came flying over and absolutely pumped him. 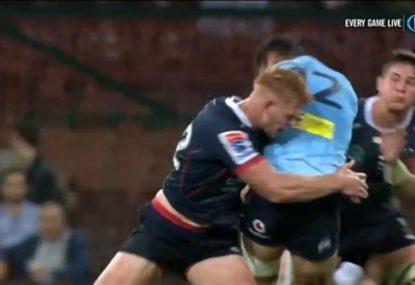 Again, a textbook tackle – low and hard – but there was no question Laurie had hurt the guy. Maybe Laurie stood over the thug and said “Sit down” (an immortal put-down one heard after being shown up on the rugby field), maybe that part of the tale grew in the re-telling over the years, but the tackle was a statement in itself. And, if it was possible, we loved Laurie even more for it. Laurie’s rugby prowess was such that he was sitting on the sideline as a reserve for the second XV by the time he was in year ten (and only 15 years old), and the following year he was starting at prop for Joeys’ fabled firsts, teammates with some of the blokes who had tried – and failed – to belittle him a few years earlier. In 2003, he was a shoe-in for Australian schoolboy selection – although the story we all remember was how he spent his time travelling to and from rep games playing his handheld Digimon. It was classic Laurie – the most terrifying player in all schoolboy rugby, yet once he left the field, he was just a big, loveable kid. While I haven’t seen as much of him as I’d have liked in the years since we left Joeys – the tyranny of time and distance – whenever I’ve bumped into him, he’s been that same guy. Just an infectiously positive and happy force of nature. 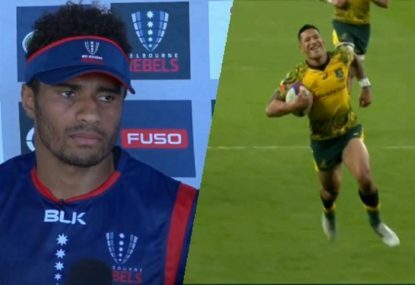 So it comes as no surprise the Rebels have offered him a role in their commercial department – his attitude toward rugby and life in general makes him the kind of person you want to keep in your organisation, even if he isn’t going to pack down in the scrum anymore. 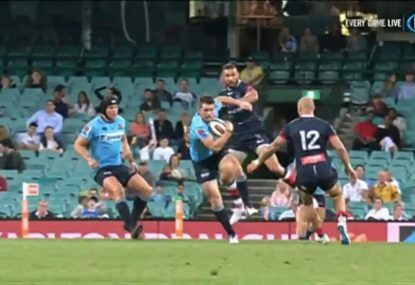 But on the latter note, I reckon more than a few props at the other Super Rugby franchises would be happy to have heard the news Laurie’s finishing up, because two Test appearances don’t do justice to the skill and sheer ferocity of one of Australia’s best and most consistent props of the last decade. Laurie, congratulations on a fantastic career and best of luck with whatever comes next. Word is you’re studying to be a teacher? After 20 years of seeing you school people on a rugby field, I reckon you’ll be awesome.